The Mazda CX-5 initially launched in 2012 was the first vehicle to introduce Mazda’s KODO-Soul of Motion design to the South African market. Fully redesigned all-new Mazda CX-5 crossover SUV refines every element of Mazda's design and technology; raising the bar for the line-up’s combination of fuel efficiency, driving fun, award-winning looks and top-class safety. Revamped to heighten its appeal, the feature updates on the 2017 CX-5 include LED head and front fog lamps, auto headlamp levelling, newly designed 17” alloy wheels, rear ventilation, USB for the rear centre armrest and auto door lock from the Active petrol derivative. Newly designed 19” alloy wheels, leather seats, 8-way power adjustable lumber support driver seat and auto fold mirrors are added from the Dynamic model and from the Individual derivative; the 10 speaker BOSE system, head-up display, power lift tailgate as well as the Smart City Brake Support (SCBS) and Driver Attention Alert (DAA) advanced safety features. The CX-5’s exterior exudes strength and maturity, thanks to its solidly sporty yet refined stance, a lower roofline, sleeker sides and minimalist styling. Its bold character is accentuated with the offering of new additional colours from Mazda’s next-generation premium colour palette; some of which are Soul Red Crystal and Machine Gray Metallic. The interior’s cabin insulation, windshield projected head-up display, improved seats and advanced ergonomics throughout, give a more cultured and intuitive “heads-up” cabin that prioritizes driver and passenger comfort. The model line-up continues with the 2.0-litre and a 2.5-litre petrol engine as well as two versions of the 2.2-litre twin-turbo diesel engine. 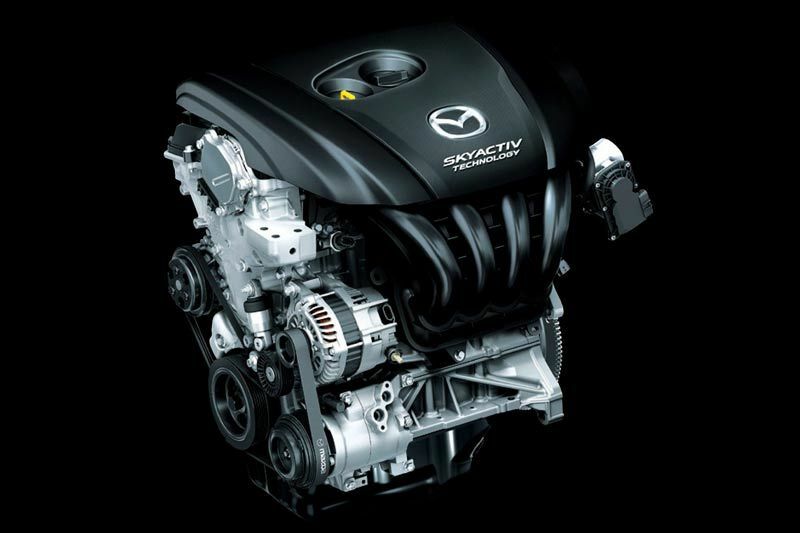 In both manual and automatic transmissions, SKYACTIV body and chassis to deliver precise responsiveness coupled with efficient engine performance. Designed to protect, the CX-5’s rigid body integrates a multi-load path structure to redirect crash energy away from the occupant cell. 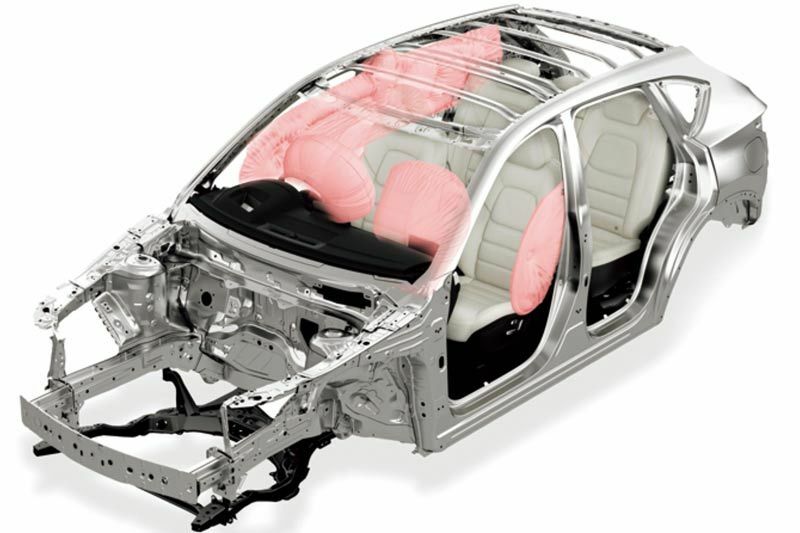 It has six built-in SRS airbags, including front, side (front) and curtain (front and rear). The CX-5 reminds you, at every opportunity, to wear your pre-tensioned and load-limiting seat belts. 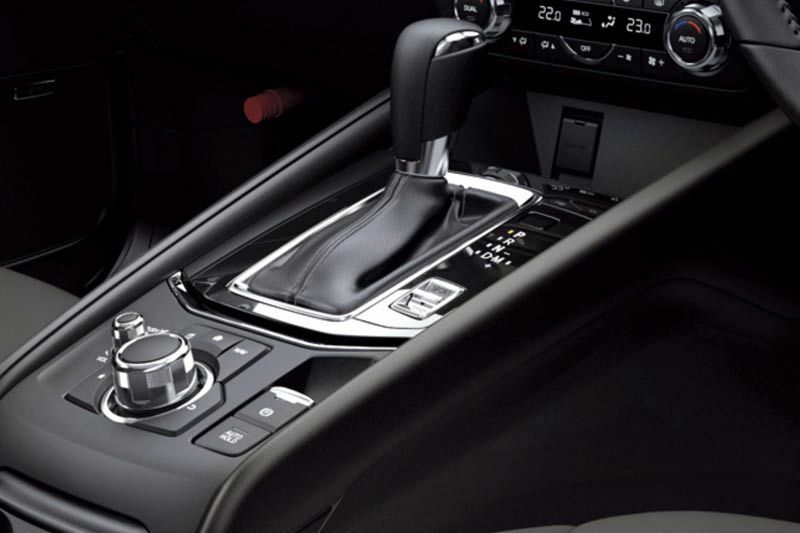 Safety features include Dynamic Stability Control (DSC) incorporating Traction Control System (TCS) as standard, for confident driving under any road conditions, ABS and Electronic Brake-force Distribution (EBD) which optimizes braking force according to vehicle load and Emergency Brake Assist (EBA) boosting stopping power at just the right time. 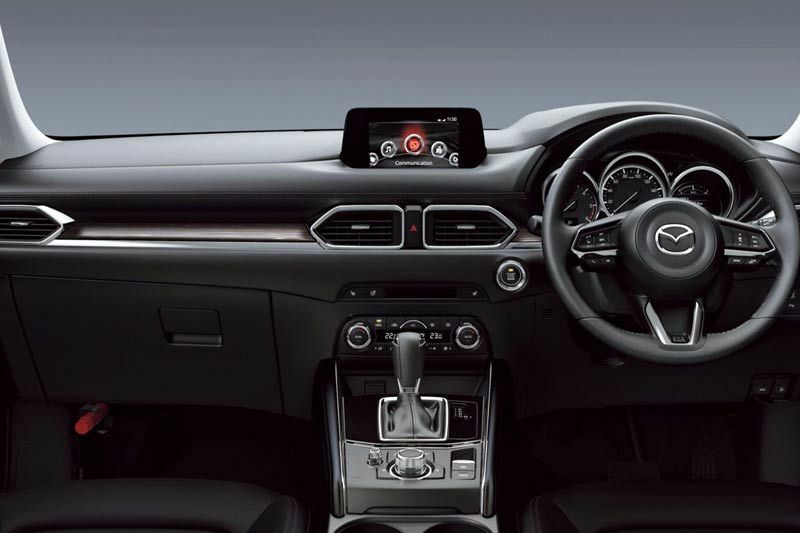 In addition, the Mazda CX-5 stands guard with remote control locking and an engine immobilizer. The Mazda CX-5 is designed and built to the highest standard of performance and reliability. This standard is backed up by a 3-year unlimited kilometer service plan. To provide complete peace of mind motoring, a 3-year factory warranty, a 3-year roadside assistance and a 5-year Corrosion Warranty are also included.